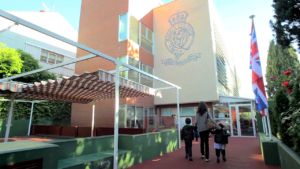 King’s Infant School, Chamartín is a British international school located in the centre of Madrid. The school offers facilities specifically built for children between the ages of 2 and 7 and teaches a British education which creates open-minded, creative and dynamic individuals. Each child will learn from first-hand experience and are encouraged to be creative in their thinking. Each teacher and teaching assistant is qualified and experienced in the British curriculum ensuring that your child is in the safest of hands. In the Foundation Stage (Pre-Nursey, Nursery and Reception) children have direct access to their Outside Learning Environment and in Key Stage 1 (years 1 and 2) the school embraces the resources of Madrid, making good use of our links with museums and parks in the city centre. At the end of Key Stage 1 aged 7, children transfer to either King’s College Soto de Viñuelas or to King’s College La Moraleja. To help children adapt quickly into Year 3 we provide a strong transition programme. Spanish curriculum is taught from Nursery following guidance from the Spanish Ministry of Education. The sessions are planned with a practical approach, allowing children to be creative, have fun and learn through practice instead of more traditional approaches. Spanish is taught in all years and there is additional Spanish offered for international children entering the school. Other languages offered include Chinese, French and later German. There is also an Induction English programme for children entering Year 1 and Year 2 with limited English. At King’s Infant School, Chamartín we aim to provide children with the educational experiences which develop a positive approach to learning and creates a learning environment which is enhanced by making the child feel at home during school. We are proud of our modern teaching and learning facilities which include two outdoor playgrounds, two indoor playgrounds, a multi-purpose hall and interactive whiteboards in all classrooms. Additionally, every classroom has its own computing provision ensuring children benefit fully from a range of software packages as well as being able to practice their skills in an interactive and stimulating environment. 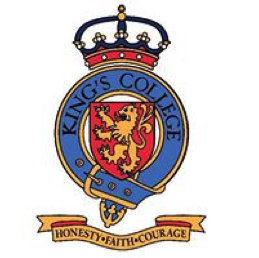 Above all, our school approach is guided by the values of King’s Group: honesty, faith and courage.